It’s always a pleasure when one of our listings is recognized by the community as something special. 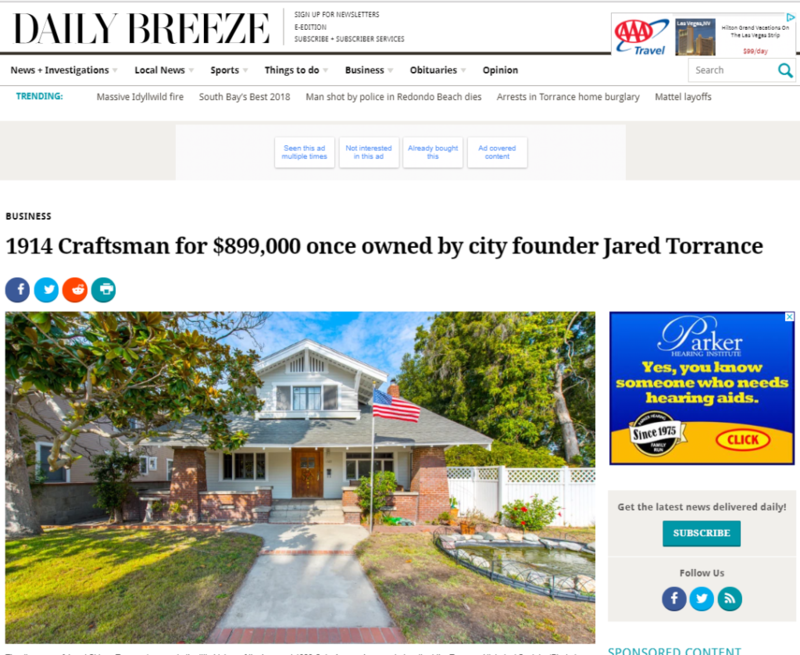 Our listing at 1323 Cota in Old Torrance was mentioned in the Daily Breeze as a home of historical significance. Once owned by the Torrance family themselves, this charming 1914 craftsman on an enormous lot is unique in just about every way.